Forums is one of the best way to have engagement in your website. Users can ask their problems, solve problems of others and interact with you and other people of the community. I recommend everyone to have a forum if they think that engagement is important for them. As you already know that WordPress is the best CMS which can be used for any kind of website, you can also create forum in this. You can either use WordPress for developing a full forum or just add forum in your existing WordPress blog. Few days back, I wanted to add a forum on my tech blog Techlomedia. For that, I tried various forums plugin and found few very good. Before starting a forum, you must have a clear vision about that. You must know the purpose and execution of that project. You must decide if you just want to add basic question and answer or full featured rich social network based forum. bbPress WordPress plugin is the most popular way to add forum in a WordPress based website. This plugin is developed by taking the code of WordPress into consideration. So, it is best suited for WordPress. It is compatible with all WordPress themes available. Various bbpress specific plugins are also available to customize most of the things. It come with basic forum features and it fast and lightweight. It is free and easy to use. You must check it for your next forum project. BuddyPress is another popular forum solution for WordPress users. It lets you build a social network based on WordPress with user profiles, groups, activities and various kind of user’s action. Various plugins are also available for extending the functionality of this plugin. So, you will have full featured social network based on WordPress. 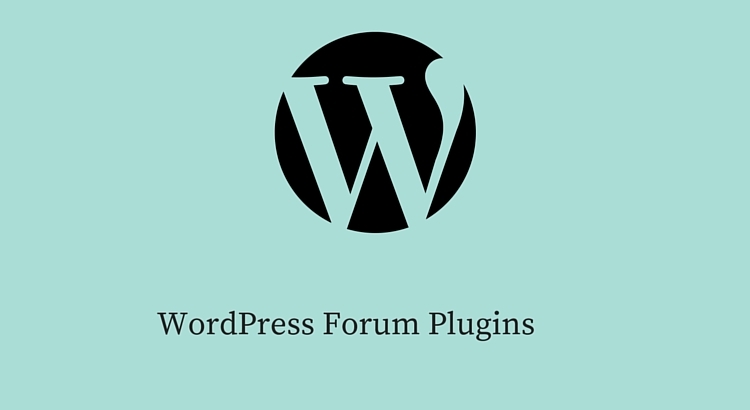 AnsPress is also an impressive WordPress plugin to have a forum in your WordPress website. Plugin is freely available with most of the feature you will like to have in your forum. For best look, plugin’s developer is also offering starter theme which is best compatible with the theme. If you do not want that theme, no problem. It is also supported in most of the WordPress themes available. Basically it is a question answer plugin with user profile, answer, comment, flag, voting and more. I really like this plugin. DW Question Answers is also very good forum plugins for WordPress. If you want to add basic question and answer thing , you can try this freely available plugin for WordPress. It also offers question, answers, comment, notifications, email notifications, search, multiple language support, and prove questions. CM Answers is also a good question answer style forums plugin for WordPress. You will be able to manage everything from WordPress dashboard. It is easy to use and user friendly for users. Basic version of the plugin is available for free, but premium version is also there with powerful features. If you are ready to pay, I recommend you to buy the premium plugin to use it in full pace. These are various other good wordpress forum plugins are available. You can explore WordPress.org’s plugin database to find more. But I am sure one of these 5 will be best for your forum’s work. try these plugins and share your opinion with us.